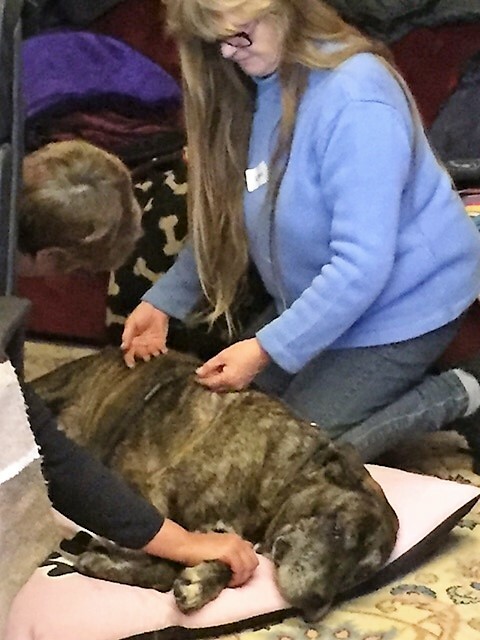 Twelve graduates from the Healing Animals Organisation became the 6th cohort to be awarded their Diploma in Relax HAOK9 Massage exclusively designed and delivered by AchyPaw Canine Massage. 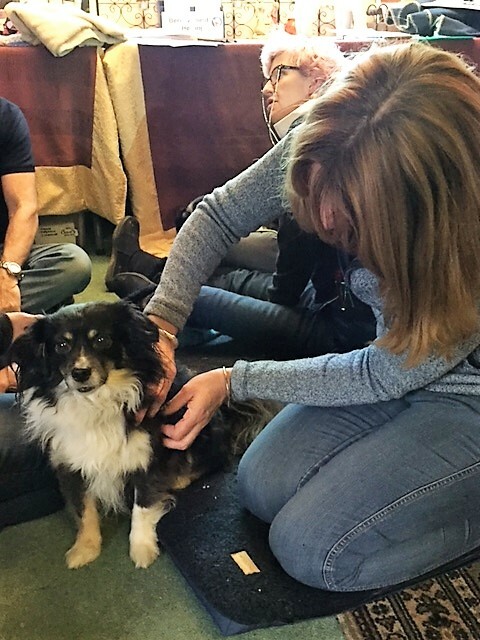 This time we had the most dogs ever to help these students learn their new skills – 19 dogs. Some stayed for the whole course, others were special guest stars. 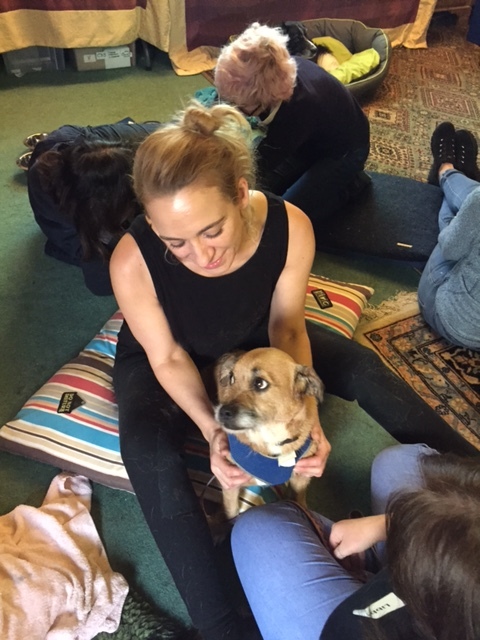 But it meant that the graduates went away with a rich diversity of knowledge in how to help and work with dogs of all conditions. 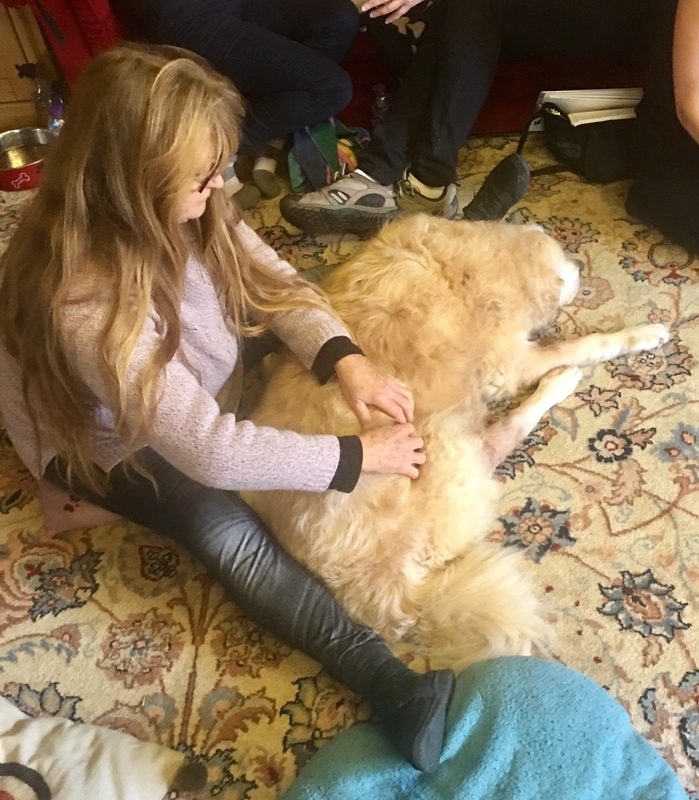 We had puppies like Evie, we had senior dogs like Dempsey, we had first-timers like Zoe, we had returning guest stars like Perry, and we even had nervous rescue dogs ‘that don’t like men’ but ended up sitting happily in Chris’s arms. 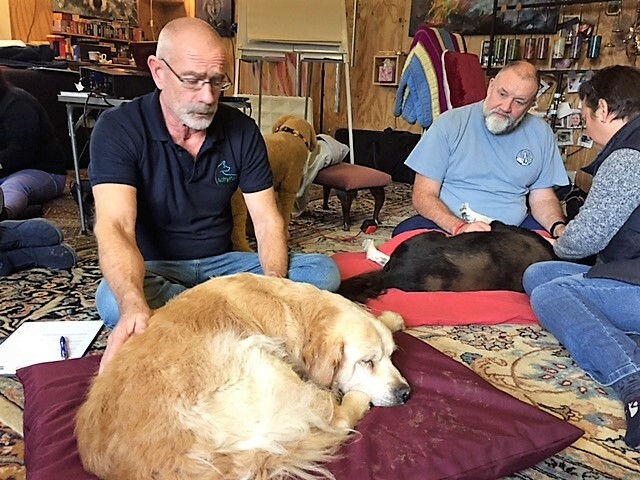 These fully professional therapists can now help dogs nationally, and internationally, using their new physical therapy skills to work alongside their existing energy and communication therapy skills. Welcome to this great new set of multi-modal therapists. 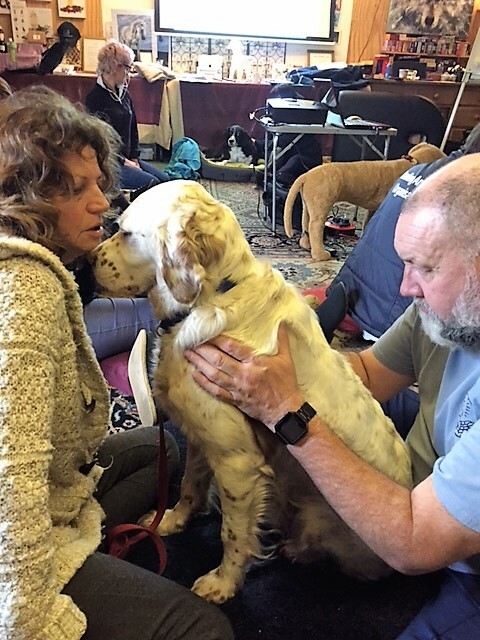 This entry was posted in achy paws, AchyPaw, achypaw myotherapy, Brighton Dog Massage, canine myotherapy, dog myotherapy, achypaw myotherapy, myotherapy, achy paws, classes, Dog, Dog massage, dog massage classes, massage benefits, multimodal, multimodal therapy for dogs, Relax HAOK9 Massage, Saltdean, south coast dog massage, training and tagged acheypaw, achypaw, achypaw myotherapy, Canine massage, canine myotherapy, Dog massage, dog massage classes, dog massage courses, dog muscle therapy, dog myotherapy, east sussex, one to one training, Relax HAOK9 Massage, south coast dog massage. Bookmark the permalink.